Control4 allows for you to easily integrate infra red based audio/visual devices but it does not give you the ability to integrate infra red based lighting devices. This is where the Chowmain generic lighting driver comes in. With customizable properties where you can enter in IR HEX codes you can now integrate infra red based lighting devices into Control4 with the correct icon. This download includes two drivers. 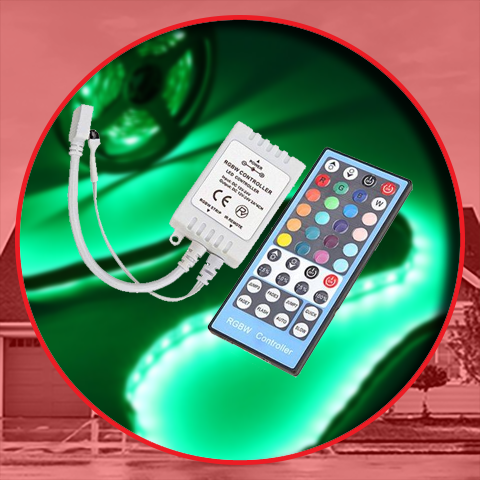 Generic Lighting Driver - Is used for On/Off based IR Lighting and RGB Based IR Lighting. Generic Dim Lighting Driver -Is used for dimmable IR Lighting that has discrete commands for 25%, 50%, 75%, 100% and up and down levels. This covers quite a few of the generic LED controllers on the market. IR Binding - You can bind it to any infra red output in your Control4 system. Ability to integrate RGB Lighting. What IR based dimmers will this work with? 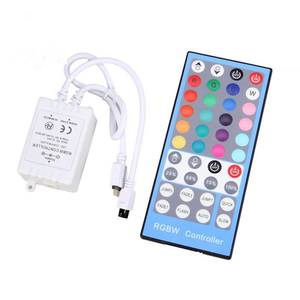 This is designed to work with the generic IR based LED lighting controllers you find with online retailers that has Up, Down, Off, On, 25%, 50%, 75% and 100% commands on their remotes. It should also work with other ones however the driver is designed to utilise the 25/50/75/100% discrete levels as reference points. We developed the driver against this RGBW IR controller. What RGB based lighting will this work on? 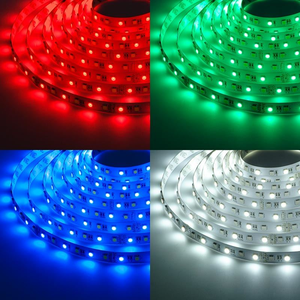 This will work with any IR based RGB lighting controller that has discrete codes for individual colours, on and off. The driver will fire an ON code prior to the colour code to ensure it is in sync. This driver is useful for integrating IR based lighting devices into Control4. This includes the Lutron based IR lighting devices, Dynalite IR lighting devices, fan's that have IR controlled lights, RGB lighting strips on them plus much more. Are there any other cool things we can do with this driver? Since the driver has definable properties you can have multiple drivers connected to the same IR port. This includes the IR blaster on supported controllers. This means that you can control any amount of IR based lights on a singular IR port (upto the limitations of the port). The driver allows for multiple instances to be grouped together. This is useful for RGB lighting strips. When you turn on colour on the other colours will go to an off position without firing the OFF IR code. If you want to turn the strip off toggle the colour that is currently on. Added the ability to control colours. Add multiple instances of the driver (one for each colour) and group them together.